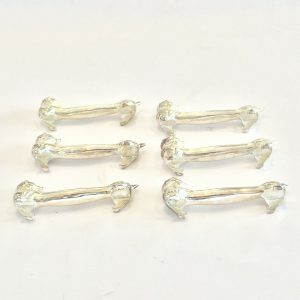 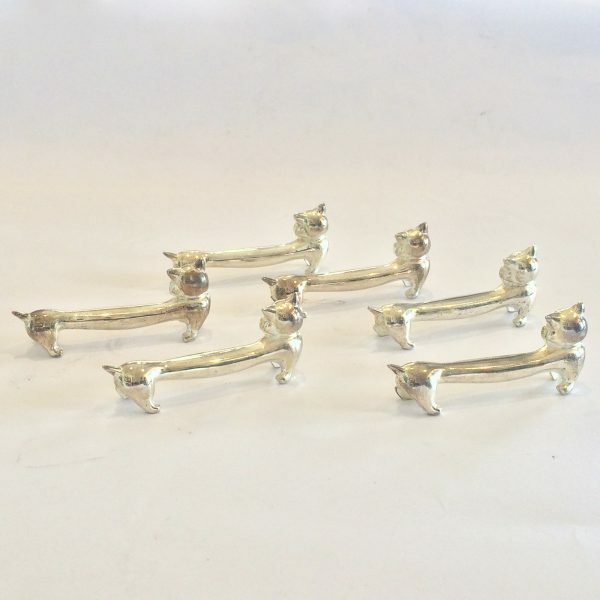 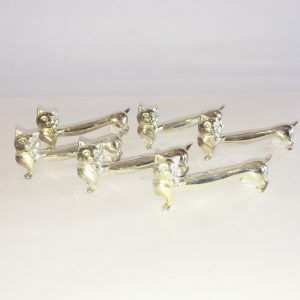 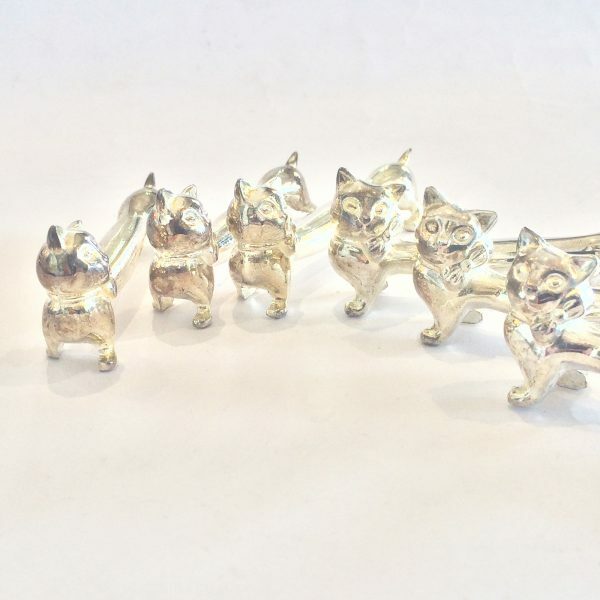 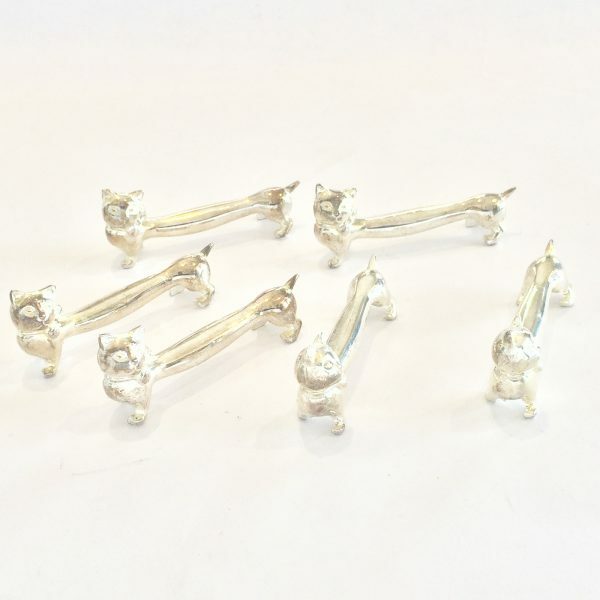 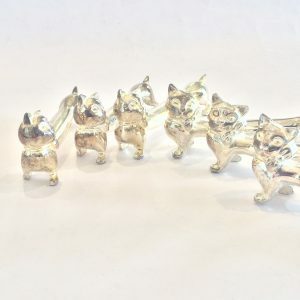 Art Deco Rare Set of 6 Cat Knife Rests in quality Silver Plate. 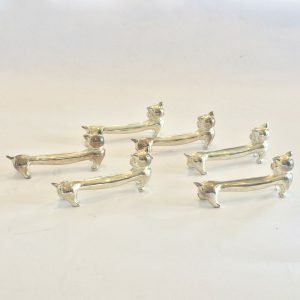 All the cats are in the same pose, heads turned facing left, wearing a collar and bow, and short tail, representing the French “Manx” cat. All in original fine silver finish with a soft aged patina only, with no damage , no repairs or losses. All perfect. Dimensions are approx.. : 7cm long x 3cm high x 1.5cm wide (varies). 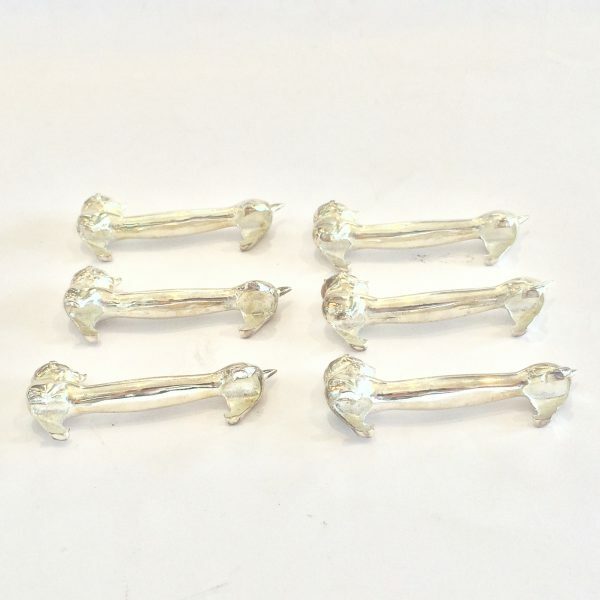 France. 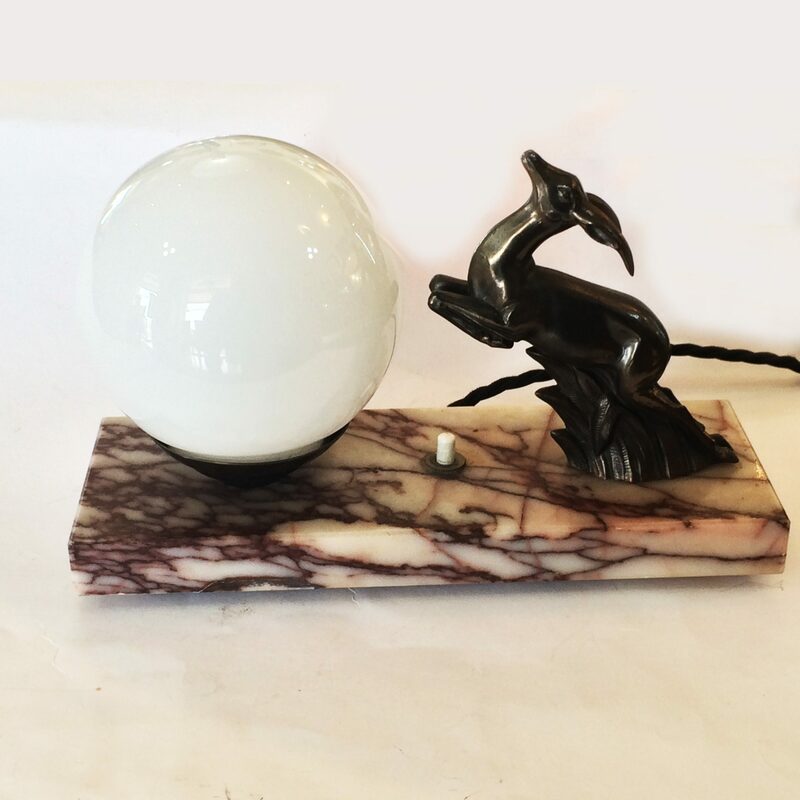 Circa 1940.